Frisco Carpet Cleaning. 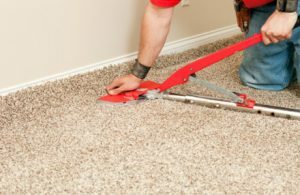 Every homeowner with at least some experience is well-aware of the fact that Frisco carpet cleaning can bring many benefits for the home and for the people who live there. 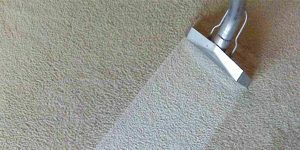 But, what many people don’t know is that there are different methods and ways to clean your carpets and not all of them are equally efficient. Ultra Clean, LLC Uses Hot Water Extraction. This method is Recommended by 25 out of 27 carpet manufactures as the most efficient and preferred carpet cleaning method. If you want to be sure that your carpets are clean, you can count on the Frisco carpet cleaning services provided by Ultra Clean Floor Care.Those interested in enjoying their time at home in clean rooms must be sure that the deepest layers of their carpets are cleaned thoroughly. Vacuuming can help, but this is just a short-term and partial solution. After a while, you will need a deep cleaning of your carpets. Avoid the use of inefficient cleaning methods and give us a chance. Ultra Clean, LLC has the tools, equipment, cleaning products and manpower to get this task done. Carpet when properly stretched when installed will only need to be stretched once in it’s lifetime, maybe twice. The first stretch should take place 7 to 10 years after the install, some carpet could last longer. If carpet starts to ripple after 2 to 3 years more than likely the installation of the carpet wasn’t done correctly. That’s why professionals like Ultra Clean Floor Care are here to help. We can re’stretch almost any carpet. So when your carpet starts to ripple, Ultra Clean is there to stretch. Carpet damages can take place at any time. Usually when least expected. Sometimes when our pet decides he/she would like to dig a hole. Problem is the hole was dug in the carpet. But, sometimes our pets get locked in a room by mistake. Scratches at the bottom of the door trying to dig under only to tear up the seam. Some home-owners have experienced this. Don’t worry Ultra Clean Floor Care has seen it all. You name it, we fixed it. From burns to holes, tore seams to spilled paint. Don’t have spare carpet. That’s fine, we can pull from the closet. Make any damaged area look like nothing ever happened. Give Ultra Clean Floor Care a call today and let us be your Frisco Carpet Repair Company. Tile floors will last a lifetime, but tile floors need maintenance. Regular sweeping and mopping is great for regular maintenance. But, a mop will not be able to get the dirt and grime buildup overtime out of the grout lines without some serious scrubbing. Through our busy schedules, who has time for scrubbing after a long days work? Ultra Clean Floor Care does. We have been around the block when it comes to tile cleaning. This is one of our many niches. Let our experts take care of your dirty grout before mold and mildew can set in. We can turn your tiles from “grime to shine” with our techniques. 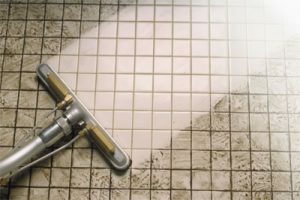 Our technicians are experts at tile cleaning in Frisco. Once your tile & grout is clean, it will look just as new as the first day it was installed. We also offer a professional grade sealer to seal the tile with. A sealer with proper maintenance usually last 3 to 5 years and in some cases even longer. If you are not happy with the color of your grout or are ready for some change. Ask us about our grout coloring process. Wood flooring is one of the best investments you can make for your home. Obviously, when you choose such sophisticated flooring, you must be sure that it gets proper maintenance. In case you want to keep the unique properties of the floor and get rid of waxy and white accumulation that often occurs after improper cleaning, leave this task to our team. It doesn’t really matter whether you are interested in making your floor cleaner or you just want to prepare your home for sale, with the help of our Frisco wood floor cleaning you can rest assured that everything will end up perfectly. When people select upholstery and drapes, they usually spend a lot of time to find the right ones. This is one of the reasons why it is important to keep this investment safe from grime and dirt. The professionals at Ultra Clean Floor Care definitely know how to take care of all types of surfaces and fabrics even the most delicate ones. We are here to meet all your Frisco upholstery cleaning needs.